This landlocked principality is sandwiched between Austria and Switzerland in the Alps and is the sixth smallest country in the world. 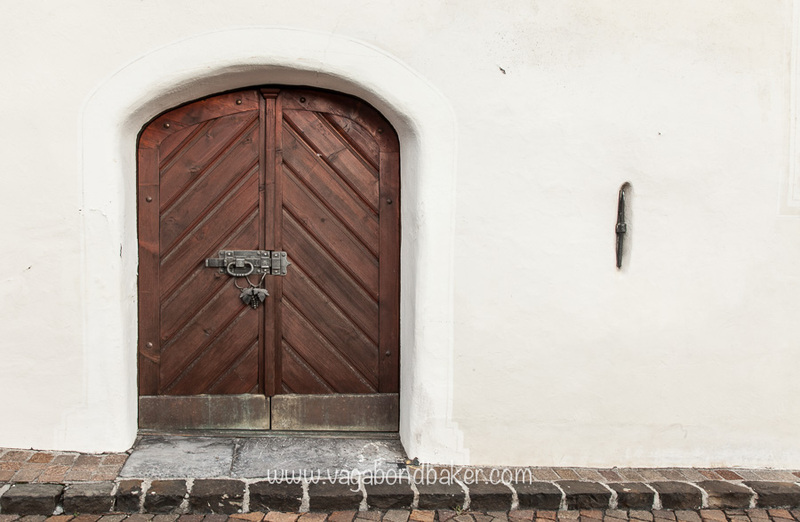 With a population of less than 40,000 people, who enjoy a very high standard of living, Liechtenstein is one of the world’s richest countries and a fascinating place to read about, so why did I leave feeling a little guilty? I was curious to visit and with it just down the road from where we were staying in Feldkirch, it made the ideal destination for a day trip. 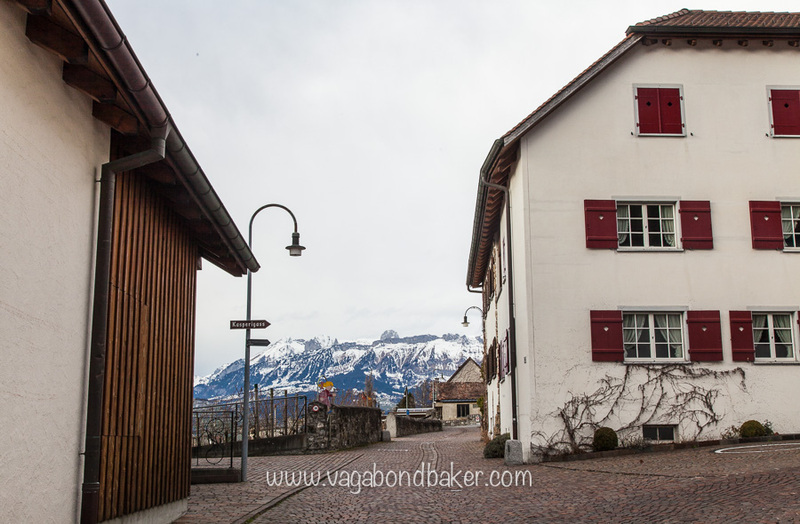 We took a local bus from Feldkirch that took a meandering route through a couple of Liechtenstein villages, its largest town Schaan, before it reached Vaduz, the capital. I was underwhelmed by Vaduz to be honest and I was glad we’d chosen to stay in Feldkirch instead. It seemed to lack the character that its Austrian neighbour had and felt a little sterile. 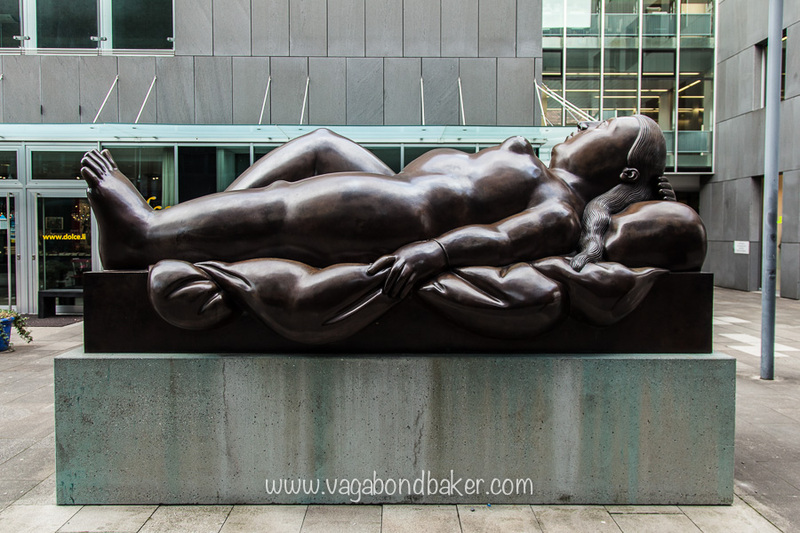 Chris wasn’t in the mood for an art gallery: Vaduz has the magnificent Kunstmuseum Liechtenstein but we opted to explore the city instead, admiring the street art statues and trying to locate a bakery. Our search took us up out of the centre of town, we spotted a sign pointing up towards the castle and decided to head up and see what was up there. 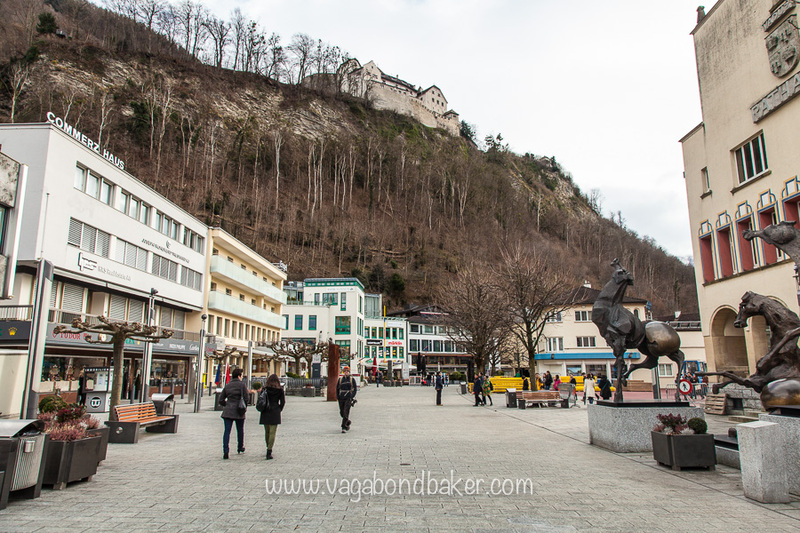 Walking around Vaduz I realised that I knew very little about Liechtenstein, however once we began to follow the path up towards the castle the facts came in thick and fast! 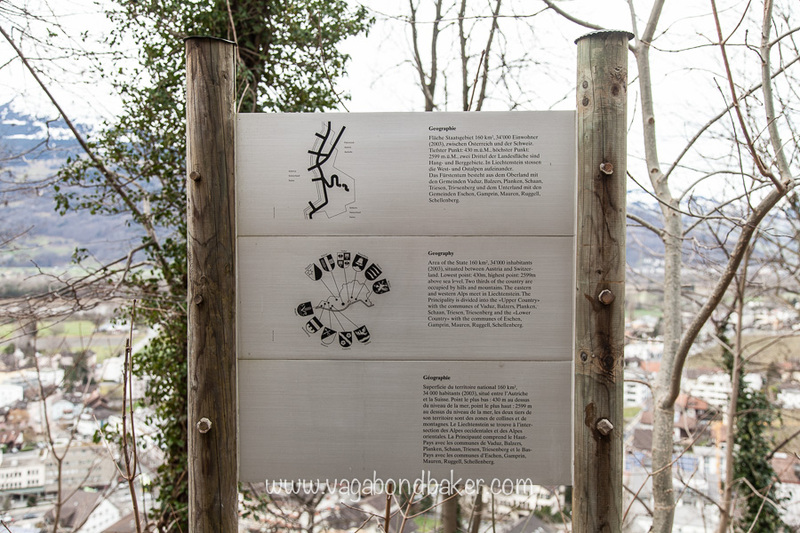 The scenic walk up to the castle has a number of information boards giving details about Liechtenstein: including facts about the monarchy, politics and industry. The view from the trail back over the city is very impressive, and great for working out the geography of the area. The castle isn’t open to the public so we turned around, walked back to the city and bought cake from a bakery at the bottom of the hill. Chris had an awesome cheesecake that I was very envious of! 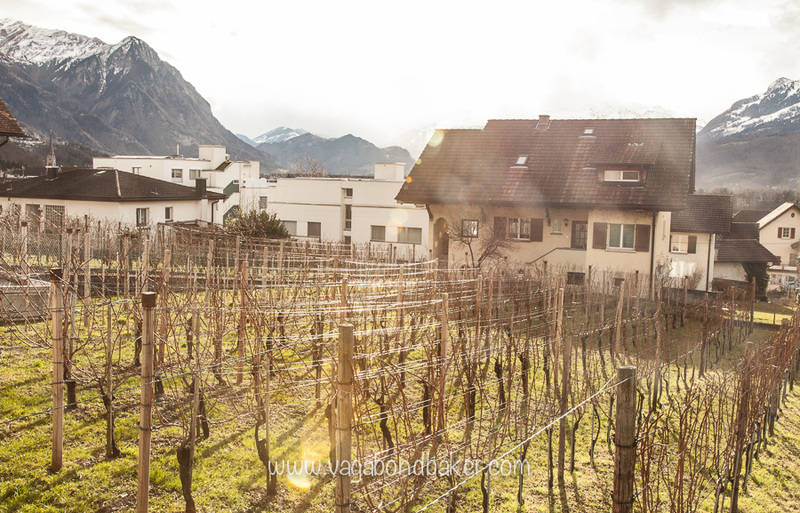 We wandered around this upper, mostly residential, corner of Vaduz and came across a few small vineyards that looked very pretty in the last few rays of the day before the sun disappeared behind the mountains. On the bus back to Feldkirch I was left feeling that we hadn’t gotten to know Liechtenstein at all. 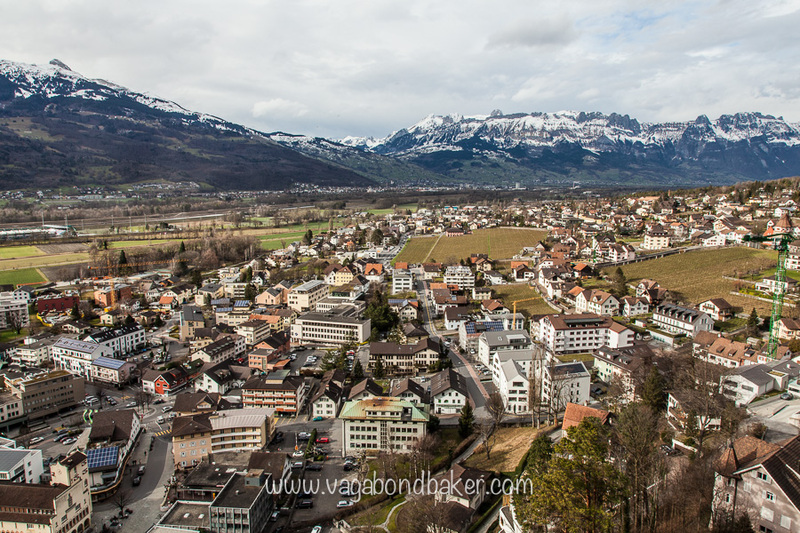 A few hours is not long enough to discover a country, even if it’s a tiny one like Liechtenstein; having a tourist wander around its capital streets did not divulge life in this country. However, I’m not sure I’ll be heading back in a hurry either, simply because there is so much more of Europe I’ve yet to see: Vaduz didn’t wow me enough to want to return. 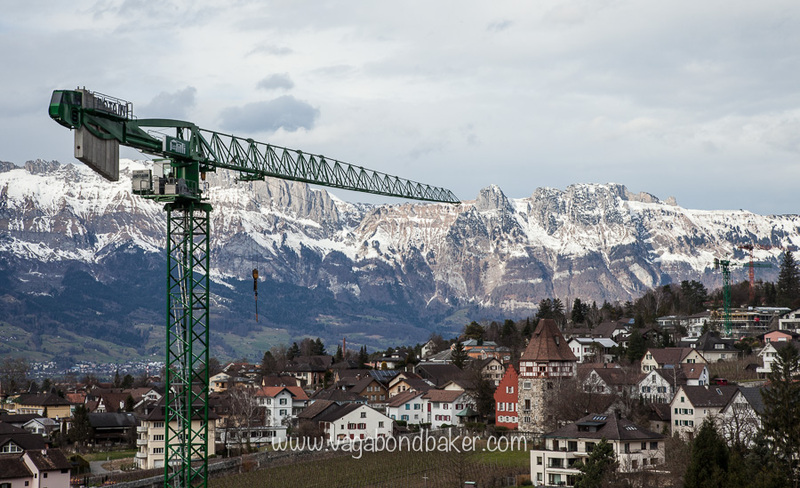 I feel a little disappointed in myself that we really took this day trip as a tick-off-a-country day out: “Hey, let’s go to Liechtenstein so we can say we’ve been!” (This isn’t how we normally travel, I can assure you!). Yes, I’ve been, but I feel a little cheeky ticking it off! Have you been to Liechtenstein? Tell me what I’ve missed! I know the feeling. When I first arrived in the Netherlands, we took a road trip across the border to Germany for just a few hours. Still, I felt pretty silly saying I’d “been to Germany” until we went back a few months later. On the other hand, while you’re right that a few hours isn’t enough, sometimes it feels like NOTHING is. You can spend years in a place and someone will mention something you never saw. It’s impossible to see it all! Your photos are lovely, anyway. That door is so charming. I felt the same as you, after reading this. I confess, I would like to ‘tick’ Liechtenstein off but I still would like to stay and explore the small country. 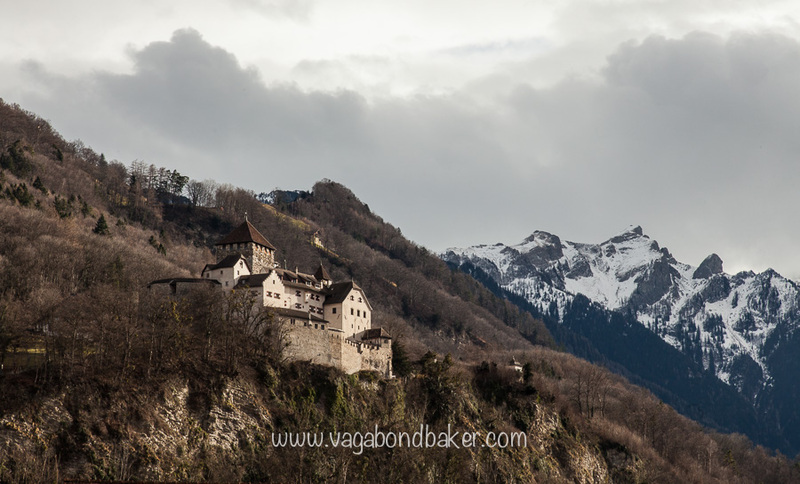 Did you visit anywhere else in Liechtenstein other than Vaduz? You did not miss much really. I stayed in Vaduz several times while I lived in central Germany. It was a quick trip and yet far enough removed from everyday life. I always stayed in Hotel Engle. The accomadations were fine and the staff treated me well, especially on repeat visits. I would often dine at a restaurant / pub just down the hill from the castle. In fact you could see it from the bar and they said the prince would often come down to eat / drink just like a local. When I was there in the early / mid 90s they charged people a few bucks for passport stamps. I was told postal stamps are their #1 export. Anyway, don’t fell bad for wanting to ‘tick off’ this country. Be glad you did. Haha, brilliant Troy! I love the idea of the prince just popping down for a swift half between regal functions! I went to Liechtenstein last year under identical circumstances – I was in Switzerland and wanted to ‘tick it off’. I was there for just a few hours in the afternoon and while I probably wouldn’t be in a rush to go back, I really enjoyed myself. What I really liked was the fact that the country seems to know its a bit of a novelty (I paid 1.50 Francs for a very elaborate stamp in my passport) and embraces it. 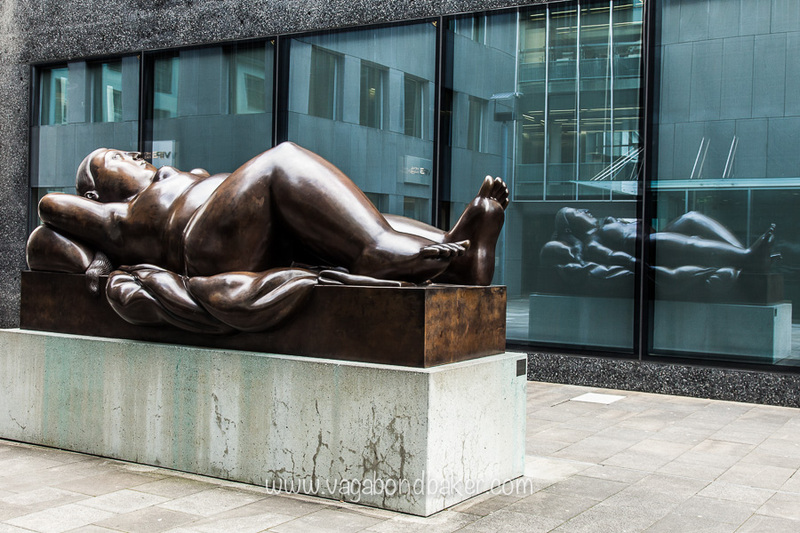 I didn’t get the same impression in Luxembourg, which left me feeling a bit flat. I overnighted in Luxembourg back in December and had a good wander around, I feel I got to know it a little bit more than I did Liechtenstein. I had absolutely no idea what to expect and I was amazed by its incredible gorge location!